We've installed Spacesaver metal shelving in hundreds of locations in the San Francisco Bay Area and around Northern California. From libraries and museums to police departments and factories, Systems and Space can help any facility save space, save time, and improve security and accountability. Whether you’re looking for 4-post or case-type shelving, cantilever, wide span, or wire shelving, we can serve your needs. Our metal shelving units are easy to install, reconfigure and expand to improve any work environment. Made from heavy-duty steel and finished with durable powdered coat paint, every piece is built to last. Custom end panels are also available to integrate with your facility’s interior design. Some previously designed custom end panels include finished wood and images on acrylic. Create and alternate how and what you store with Spacesaver’s 4-post shelving. 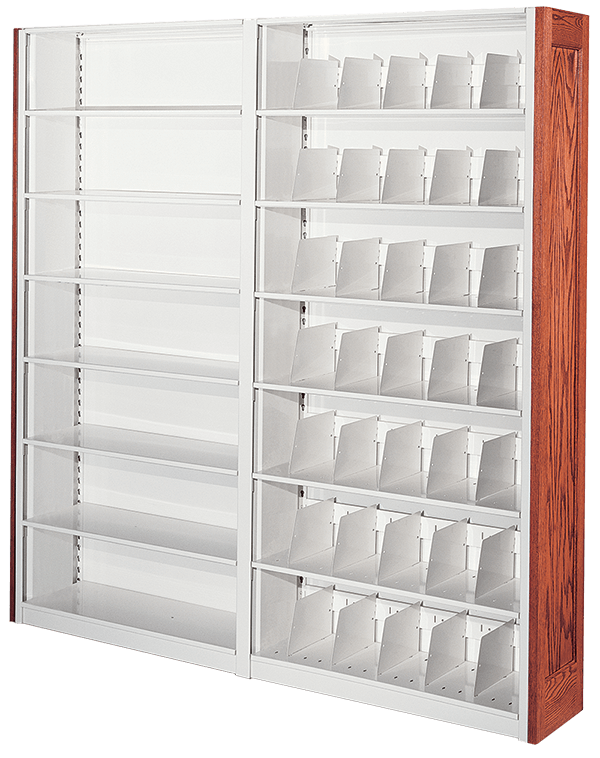 Universally slotted shelving units allow for the attachment of file dividers, bin dividers, and divider rods. You can stack boxes, organize color-coded files with dividers, and store other materials with compartmented bin dividers all on the same shelving unit. Spacesaver’s frame-mounted doors can be utilized in a variety of applications to meet a variety of storage needs. Three door types—single-wall, double-wall, and window—provide distinct features and options that can be installed on Spacesaver’s 4-Post and Case-type shelving and welded cabinets. The same shelving systems, when used in conjunction with frame-mounted doors, create flexible, adaptable cabinets that can be used for both static shelving applications or with mobile shelving systems. Established in 1853, the California Academy of Sciences houses one of the world’s premier natural history museums. Its collections required storage that would meet several requirements: it had to protect the specimens; it had to provide convenient access to researchers; and the storage had to be durable, maintaining its integrity over decades of repeated use. 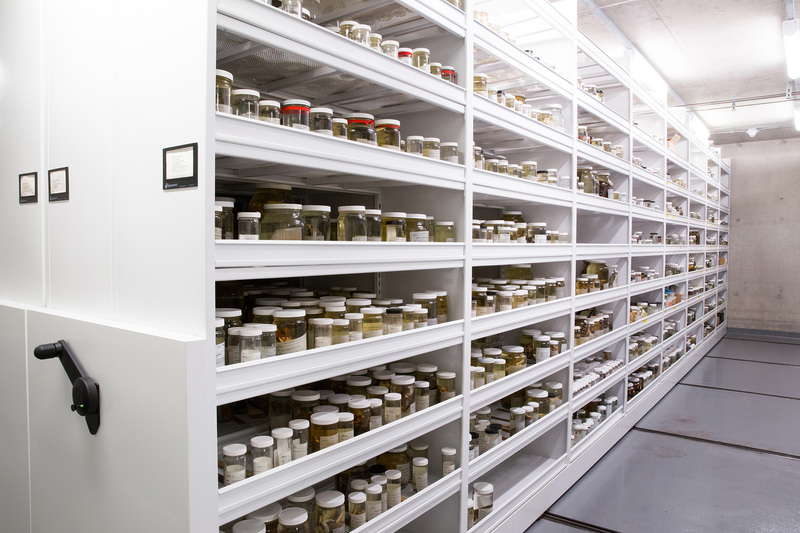 We designed compact mobile storage solutions with 4-post shelving to accommodate the special challenges posed by glass jars and large steel trunks containing specimens preserved in liquid. Heavy-duty cantilever shelving is ideal for academic, corporate, public and legal libraries, as well as general office spaces. Our shelving can be positioned on the floor (stationary applications) or can be mounted on Spacesaver mobile carriages (to create high-density mobile storage systems). Rugged and versatile, Spacesaver’s RaptorRAC wide span shelving provides the perfect platform for storing a variety of heavy and bulky items. 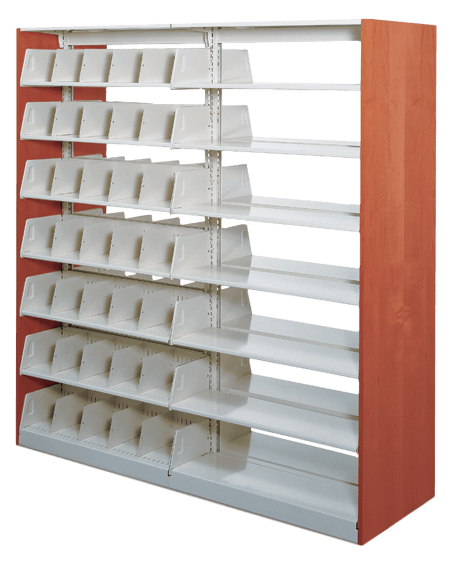 Like our other shelving, RaptorRAC is designed to work in static applications as well as with Spacesaver’s wide range of industry-leading mobile systems. 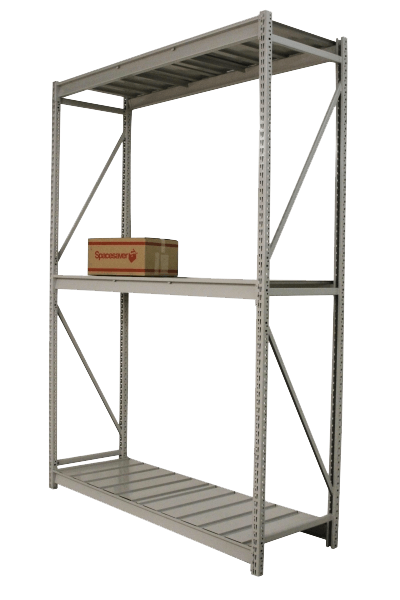 RaptorRAC’s wide range of standard and configured sizes make it possible to build a custom shelving system. To see how Spacesaver’s metal shelving has been used in the San Francisco-area, check out our Museums Market page.